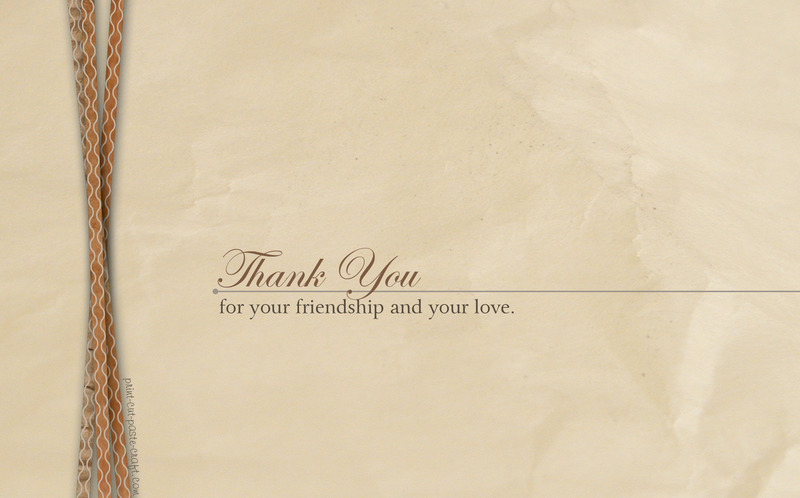 Printable Thank You Card: I love paper | Print, Cut, Paste, Craft! Paper always inspires me. Print this card on regular cardstock and get the beautiful look of slightly old, slightly wrinkled paper. Click on the image to download the hi-resolution jpg (300 dpi), printable for free!The format is 5×8 inches so you can use a standard greeting card envelope. Only for personal use, of course.